Silver – Bottom or Bear Flag? When looking at the silver chart there are two different scenarios that could play out. The bullish scenario is that the metal is forming a double bottom from the December 2016 lows. The bearish scenario is that a bearish declining wedge and bear flag is forming. 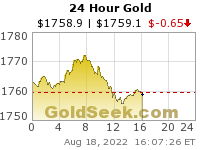 David Erfle, Founder of The Junior Miner Junky joins me to outline this set up. He also compares the 20 year silver chart to the 2 year bitcoin chart, there are a lot of similarities. Please comment or email if you would like David and I to comment on any junior companies you either like or have questions on. Through his newsletter David follows a wide range of companies and will be very honest with his assessment. Click here to visit David’s site. I highly recommend signing up for his newsletter. I am trading NUGT and JDST and they both are stopped dead in the water. No volume. What’s up with the lock up in miners today? (SVM) Silvercorp is still making money at current prices and is the lowest cost Silver equivalent ounce producer due to their large Zinc & Lead co-credits. I expect them to still keep blazing on as well, and if the metals prices move up for Silver, or Zinc & Lead, then I could see them just taking over (NUAG) New Pacific Metals. Most companies should be envious of such good profit margins at SVM. They don’t do a lot of marketing or fanfare or newsletter writer hype, but they deliver quarter after quarter. – Ended the quarter with $123.9 million in cash and cash equivalents and short-term investments, an increase of $9.1 million or 8% compared to $114.8 million as at June 30, 2018. 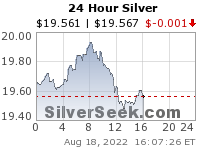 Also, as (USAS) (USA) reduces costs on Silver equivalent ounces, using their large Zinc & Lead credits, they’ll be bringing their AISC down to around $4-$6 over the next few quarters, so they’ll be doing fine at $14 Silver, and they are currently plowing revenues into their acquisition of Pershing Gold, but will also be announcing a financing soon to fast-track that Relief Canyon deposit into production.